Megastar Amitabh Bachchan finds it embarrassing to be tagged as the 'Star Of The Millennium' saying the title came his way due to a computer error perhaps, and insists he is just an "ordinary artiste". It was in 1999 when the BBC honoured him with the title after an online survey, but Amitabh recalls it was his co-actor Govind Namdev, who told him that he was 'Star Of The Millennium'. "But I never believed in it... There is one secret behind it. The BBC News, which conferred the honour on me, conducted an online survey where they asked people to vote for an actor whom they thought was the most popular in last 100 years. "And because of that online survey thing, some votes came my way and I feel it's a computer error and there is no truth behind it." "I feel so embarrassed when people label me with these tags. I am an ordinary artist and people who are sharing this platform with me are great as today I am so much inspired by their thoughts." The 76-year-old thespian was addressing the media at actor-turned-author Namdev's book launch titled "Madhukar Shah Bundela" along with Ram Gopal Bajaj, Satish Kaushik and Chandraprakash Dwivedi on Thursday here. 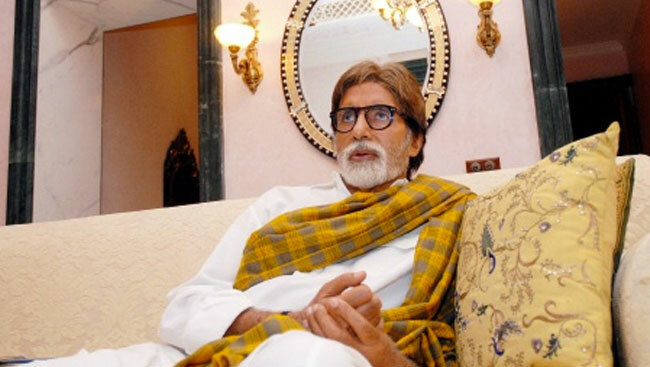 Talking about Namdev, Big B said: "The first time, he met me was on a film set he was playing a negative role. Apart from being a great artist, he is fond of his nation, his native Bundelkhand and writing," he said. Namdev and Amitabh have shared screen space in "Sarkar Raj", and when the former contacted him for his book launch, he could not refuse. On the silver screen, Amitabh will next be seen in filmmaker Sujoy Ghosh's "Badla" and director Nagraj Manjule's "Jhund". Filmmaker Rohit Shetty has signed Farah Khan to direct an action-comedy film for his production house, Rohit Shetty Picturez.